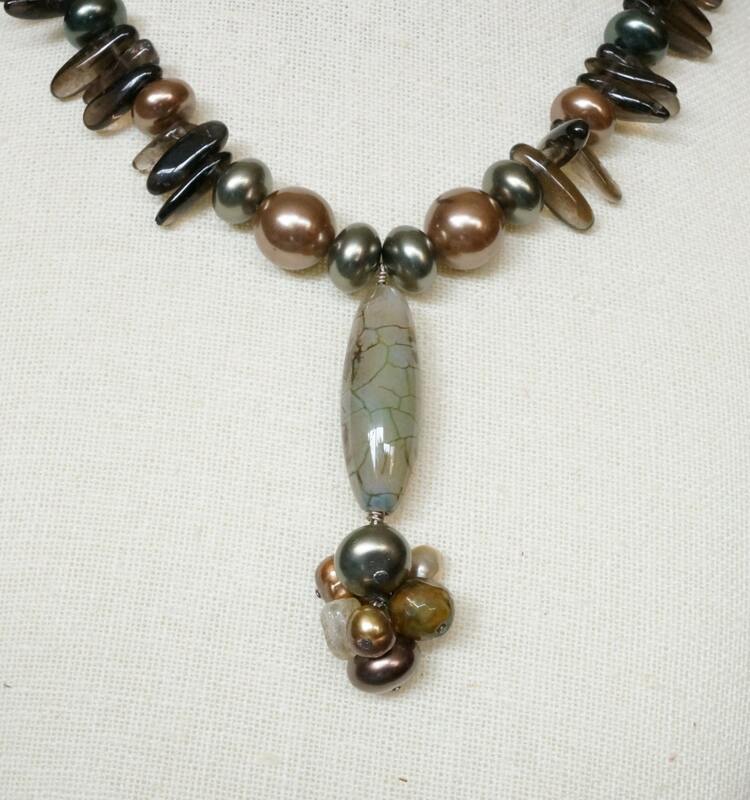 Here you have a wonderful necklace piece! 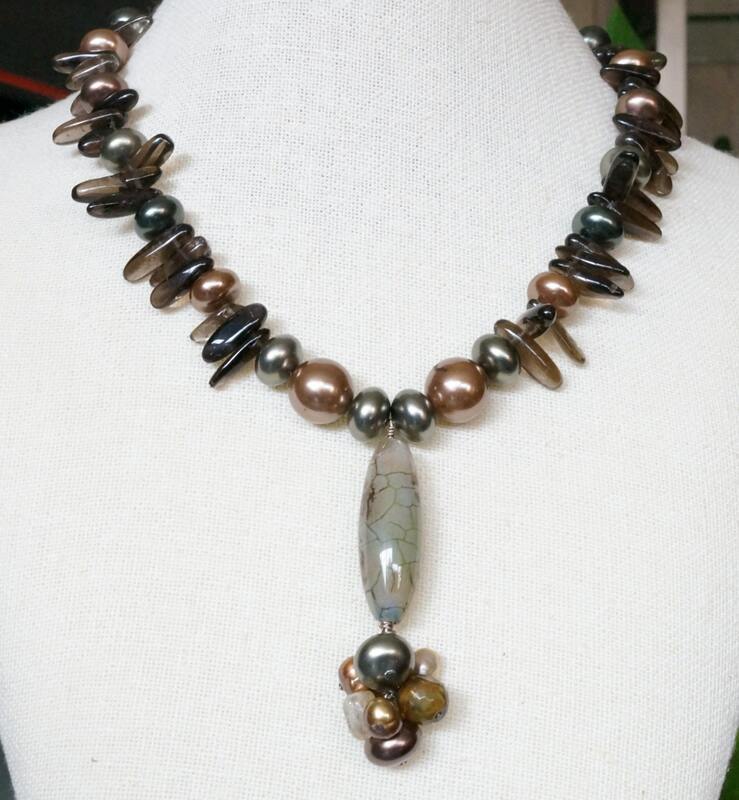 The pendant is a crackle or spiderweb elongated agate bead with a cluster of freshwater pearls, shell pearls, and smokey quartz beads. 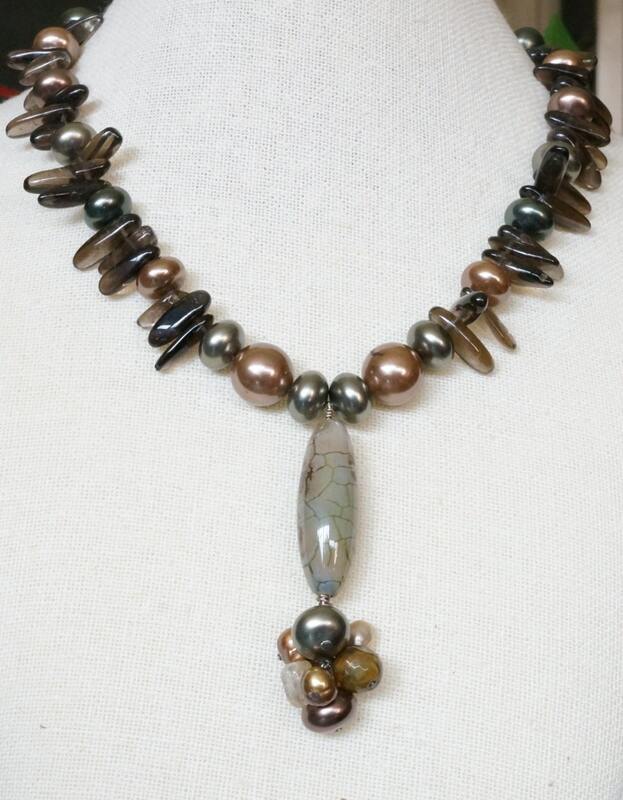 The rest of the necklace is designed with shell pearls and smokey quartz daggers. 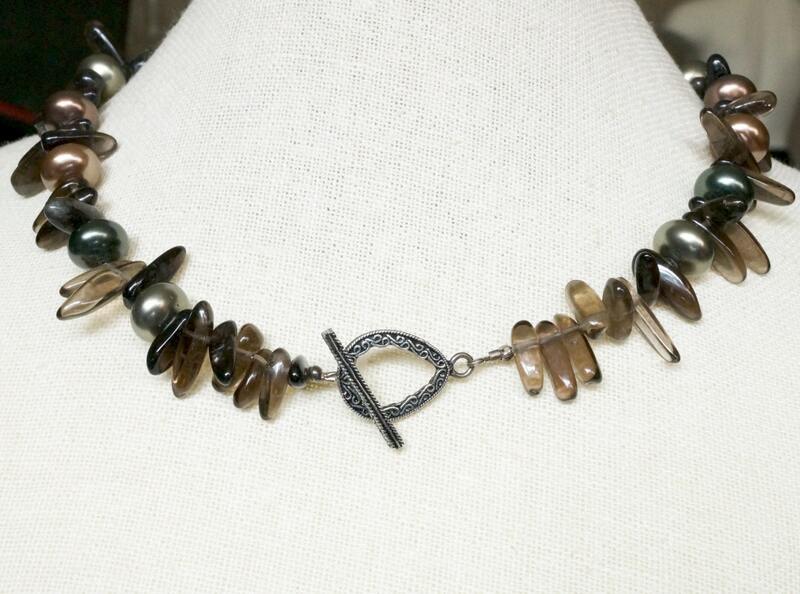 It all comes together with a Bali style toggle clasp. It measures 18.5 inches. It can be shortened, at an extra cost of $10. It cannot be lengthened.